Ken Evans is a guitar and music teacher as well as commercial director here at Evansongs. He has been in the music business for over 40 years and has met some wonderful, famous and very colourful people during that time but none more so than the legendry Ozzy Osbourne! 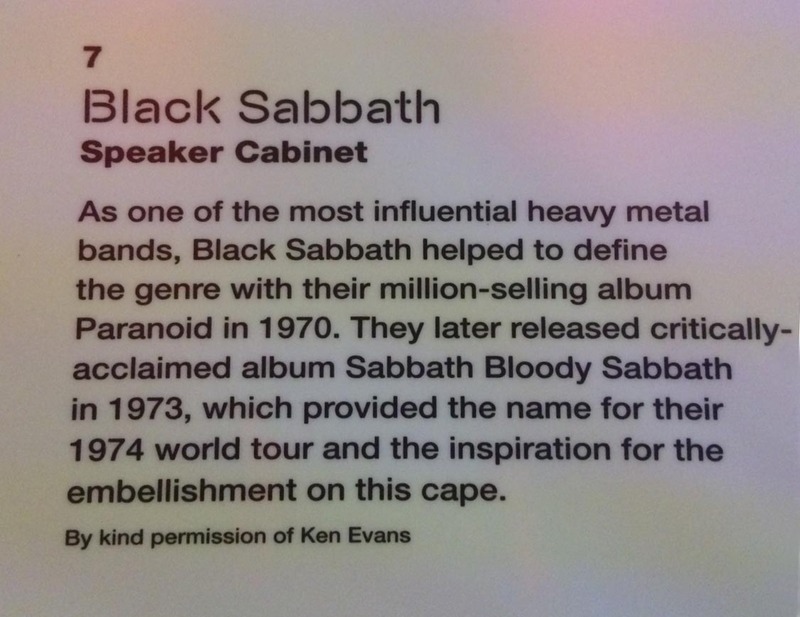 Ken has recently donated Ozzy Osbournes 'PA' speaker to the British Music Experience Museum at The Cunard Building in Liverpool. I asked Ken how he came to have the speaker and how he first met Ozzy. Here's Ken's story. It was a very hot day in July back in 1973. I had just finished for the day and was off to the 'Hand And Cleaver' for an ice cold beer before dinner. The 'Cleaver' was a country pub in a remote Staffordshire village where I then lived. As I walked across the car park I met an old lady who lived in the village. She loved to gossip and so we got talking. 'Have you heard the news', she said 'we've got someone famous moving into the village', he's in a band called the Black Abbots'. Now for those of you as old as I am you will remember well the Black Abbots. They were a famous comedy group very often on TV, fronted by comedian Russ Abbot. The thought of Russ Abbot being a neighbour was an exciting proposition and I could foresee many a late night at 'The Cleaver' listening to Russ telling a joke or two. A week or two passed and there was no sign of Russ, and I was thinking he must have decided not to move here. Then one evening a long haired, smartly dressed chap walked into the pub with a very beautiful lady by his side. He went to the bar and said in a broad Birmingham accent 'I've just moved into the village and I'd like to buy everyone in here a drink'. The chap then introduced himself as John 'Ozzy' Osbourne lead singer with the rock band Black Sabbath! The room went silent, then one of the 'older' regulars went up to him and said 'do you know if Russ Abbot has moved in yet'!! And so from the very moment I met Ozzy there was never a dull moment. At the time I was in a rock band so Ozzy and myself had a lot in common and would often spend lots of time talking about music in general. Black Sabbath were just becoming a major international band and Ozzy and his wife Thelma had bought a converted farmhouse about 200m from the pub to 'escape to the country'. He would often ask me and my partner to babysit his children which we would do and think nothing of it but looking back now how cool was that to be in charge of 'The Osbournes'! It was a lovely house and Ozzy had built a studio at the back. To get to the studio you had to get past 'Eric'. Eric was a 7 foot tall stuffed grizzly bear and as Ozzy said if ever he got burgled Eric would sure scare the **** out of them. Next to Eric was Ozzys stage speaker which he would use as a monitor when touring with Black Sabbath. I never thought that 40 years later I would be donating that speaker to a museum! It was during this time I met Ozzys personal manager Dave Tangye. Dave lived with Ozzy and Thelma and the children at the farmhouse and was also a roadie for the band. I have showed Dave the speaker and he remembers it well. He said it was also used for auditions when Ozzy left black Sabbath and was forming his new band 'Blizzard Of Oz, in fact said Dave 'I'm sure Randy Rhoads was using it at one time'. Dave now has minimal contact with Ozzy but said he would pass on a picture of the speaker, he say's 'it's very difficult these days to contact Ozzy and whether my emails actually get past 'The Osbourne Management' I don't know. Dave has written a book called 'How Black Was My Sabbath' and is all about his time with Ozzy. It's well worth a read and has some very funny recollections in it and there are many references to local areas. With Black Sabbath permanently on tour and Ozzy spending more and more time in the States I got to see less and less of him and then at the end of the 70's I learnt he had left Thelma and gone to live with someone else whom he later married. When his things were being cleared out of the house, so was his speaker and that is how I came to get it. I thought that after all this time, and as Ozzy has never asked for it back, the speaker should go to a museum. 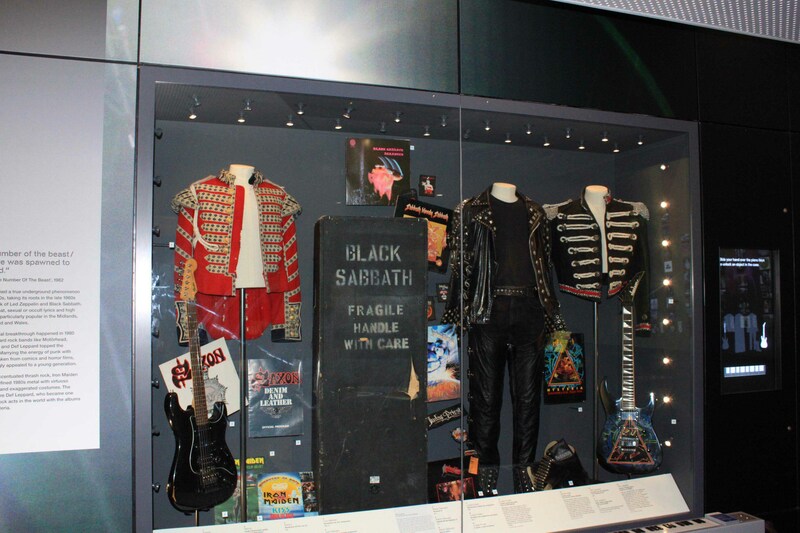 So I contacted the British Music Experience Museum and they were very happy to have it, so now the whole world can get a glimpse of this piece of rock history. It's a shame the speaker can't speak for itself as I'm sure it has many tales to tell!! Sorry Russ, and no offence meant, but I'm so glad it wasn't you that moved into the Village! !